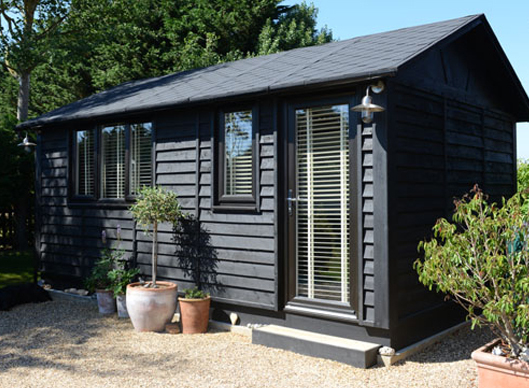 We’ve created the perfect space for up to three people with the Trio Suffolk Barn. It has so much to offer in terms of capacity and capability, and it’s perfect if you really want to make the most out of the space in your garden. 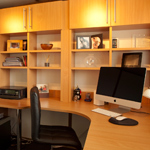 Quality is a byword for us here at Smart Garden Offices in more ways than one. We dedicate our time to making robust buildings. We’re obsessed with making sure every one of our creations improves the quality of each’s customers’ way of life. The Suffolk Barn Trio measures 4259 x 3118mm (Approx. 14’ x 10’6”) meaning the interior is spacious and bright. 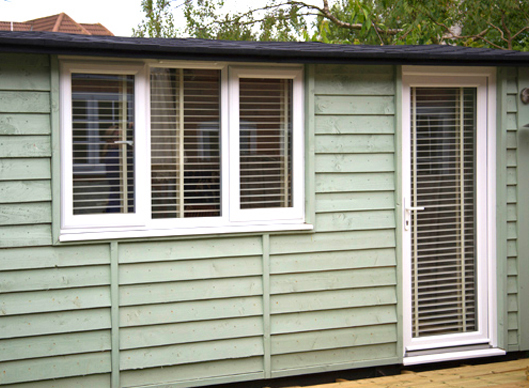 With the insulation and double glazed windows and doors and you have a perfect space to use all year round. 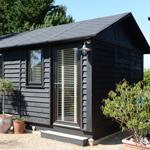 The list of uses are endless, whether it’s a retreat, home office, playroom, garden room or therapy room, we know it will be an invaluable addition to your garden. 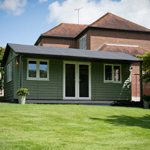 The exterior of the Trio Suffolk Barn is undeniably stylish, the weatherboard exterior offers a charming rustic design. Although don’t let its style make you forget how robust this building really is. 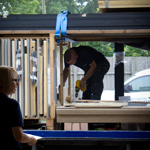 The construction method used within the Trio Suffolk Barn (as used with all our buildings) means this strong building offers a strength with rigidity. Designed and built by us right here in our factory. 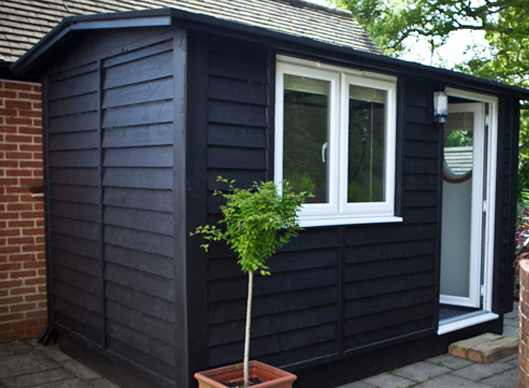 We’ll help you design your own unique Book Nook ready for your new Smart Garden Office. Whether it’s a retreat from work or the perfect place to re-visit your favourite book, this beautiful window seat is surrounded with bookshelves to enable you to get the most out of your space. The Suffolk Barn Trio in most cases won’t require planning permission, however if it does we offer a hassle free planning service. Click here to see our Quarto Suffolk Barn. 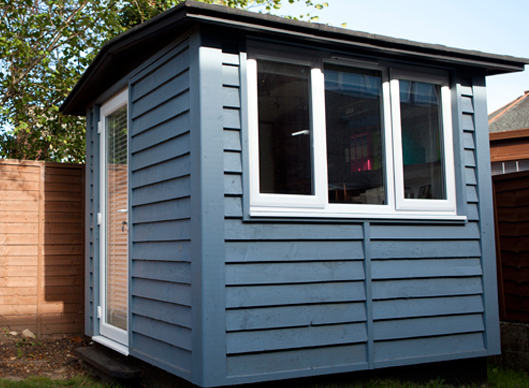 Our offices are made to be used 365 days of the year whatever the weather. 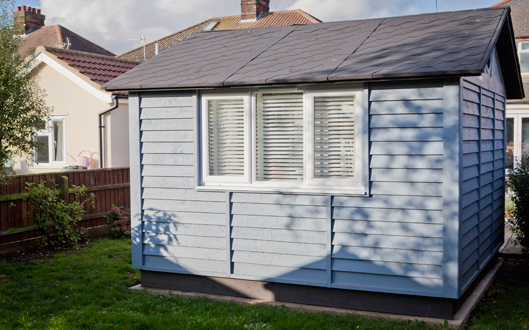 The interior offers all the home comforts and warmth you need, add in double glazing, electrics and a fully fitted carpet, it’s a room you won’t want to leave! We work with you to design your perfect Smart Garden Trio. From the exterior colour to the interior configuration, it’s all about what you want and how you’re going to use the room. Plus because we’re experts at doing so, you’re guaranteed to end up with a Suffolk Barn Trio you’ll love! It’s an impressive building with an even more impressive installation time. Taking only 2-3 days to install. 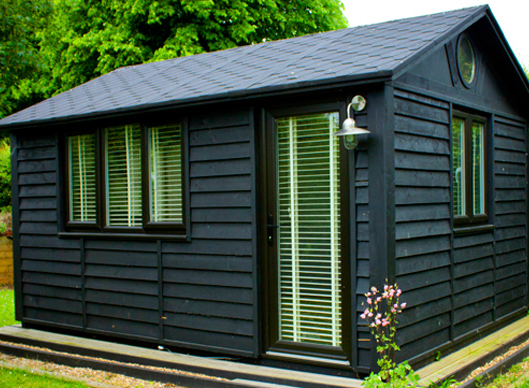 If you’re looking for a bit more space, have a look at our Suffolk Barn Quarto measuring 5.3m x 3.2m. 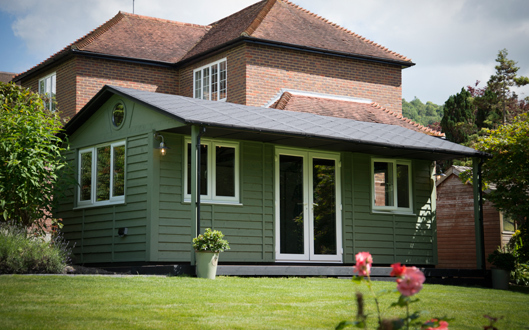 The Suffolk Barn Quinto is the largest in our range and offers an enormous footprint with an impressive style.